We are a leading Manufacturer of direct acting midget solenold valves, 3/2 vertical poppet valves, 1 - 1 1/2 inch pulse valves, two way valves, 2 way solenold valves and 1-2 inch, 2 way axial valves from Nagpur, India. 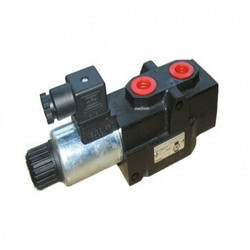 2 way and 3 way direct acting solenoid valves are generally used for operating midget cylinders or for giving pilot singal or for remote control of main valve. the valves are suitable for air, water, light oil and are also useful in vacuum applications.The valves can be selected in G25 ( 4w/6.5 VA) and G50 (8w/14.5 VA) coil versions. 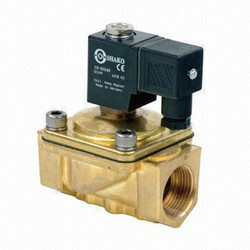 The G50 range valves are also offered with flame proof coil class I, IIA, IIB as per IS 2148. 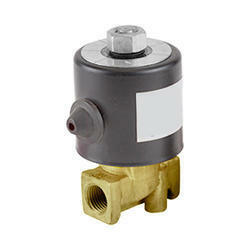 Vertical poppet valves utilize the well proven poppet principle to give high flow rates with short valve travel. Basic Valve is of 9.5 mm (3/8 inch) orifice and is offered in 1/4,3/8 and 1/2 inch connections. The Valve is with normally closed or normally open construction with solenlod and pilot actuatins. 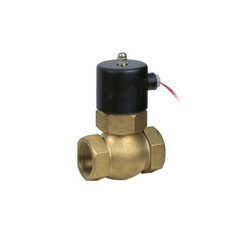 These are Two Way Valves or On-Off Valves are available in wide range port sizes from 1/8" to 2" having different internal construction to suit the application. The diaphragm operated and piston operated valves are suitable for medias like air, water, light oil and other compatible medias. We are mainly looking enquiries from Vidarbha ,Maharashtra, Madhya Pradesh & Chhattisgarh. 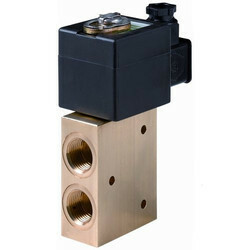 Schrader offers following internal pilot operated 2 way solenoid valves which are suibable for air, water and oil. 1/4 to 1 1/2 inch 2 way diaphragm operated valves. the design in compact with higher flow Capacities. 1/4, 3/8, 1/2 inch are with barss body and G25 Coil while 3/4, 1, 1 1/2 inch are offered with stainless steel body and G 50 coil. 1 inch - 2 Way piston operated valve with 25 mm orifice. The design in sturday and is suitable for heavy duty applications. 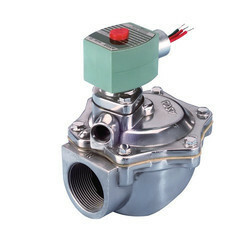 Compact design, combining functions of conventional ball valve and rotary actuator. All Stainless steel streamilined construction. Viton Seals are used as standard, which are compatiable to air, water, oil, hydrocarbons etc. and can with stand. Provided with namur standard base for directly mounting namur valves. Provision of Normally close, Normally open single acting and double acting versions.